is up. Download yours here. 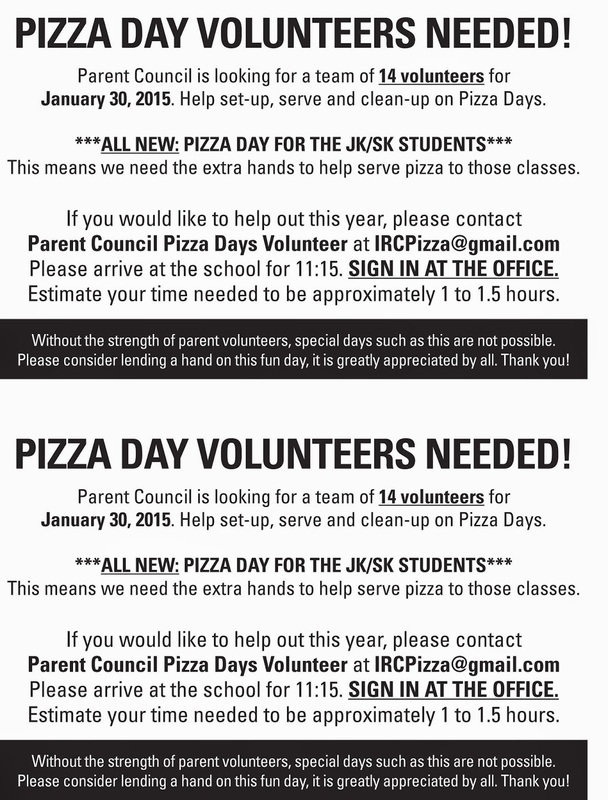 PIZZA DAY - VOLUNTEERS NEEDED!!! January 30th is our first Kindergarten Pizza Day! We need at least two parent volunteers per kindergarten classroom (as well as volunteers for grades 1-6 pizza) in order to make pizza lunch a success. Please confirm your involvement as soon as possible in order to ensure that this program runs smoothly on Jan.30th. Thank you to all the parents that attended this month's Parent Council Meeting. The next meeting will be Tuesday February 10. 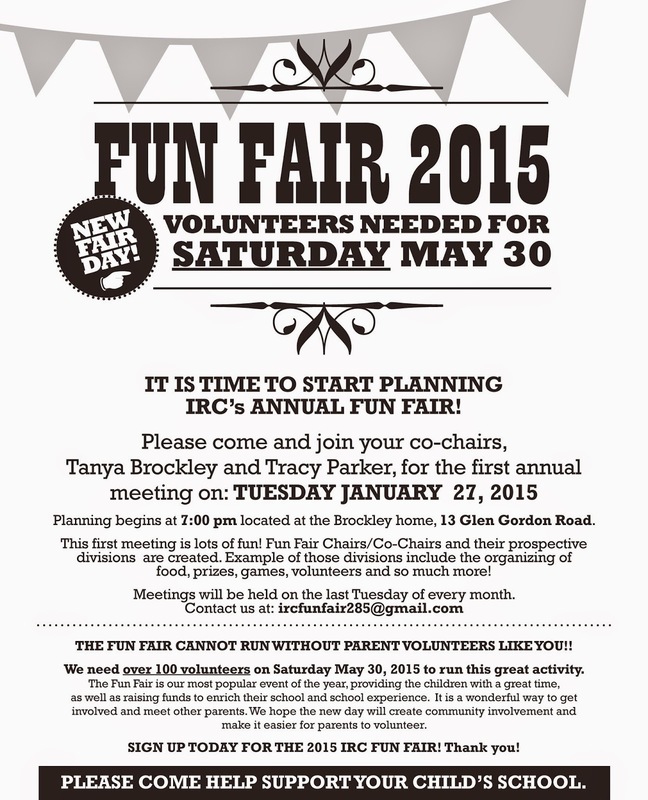 IRC Fun Fair - SATURDAY MAY 30!!! The City View Alternative School's Open House will be held this coming thursday January 15, 2015 at 6:45pm. The school offers an academically enriched grade 7 & 8 curriculum. For more details, you can download the flyer here. 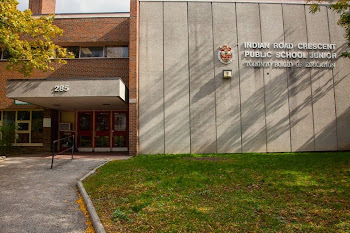 The High Park Alternative School 2015 Open House will be held Tuesday January 20th at 6:00 pm. High Park Alternative School accepts students from Kindergarten through to Grade 8. For more information, please download the information flyer here. You are invited to the Safe Schools and Engaged Communities Forum taking place on 13 January 2015 at David and Mary Thomson CI and 15 January 2015 at Thistletown CI, both from 6:30 pm -8:30 pm. In October 2014, a steering team was established to conduct an independent review into the circumstances surrounding the death of a student inside North Albion CI. In addition, the team is also reviewing how the Toronto District School Board can be responsive and current to best support safety and care for all students and staff, both before and after critical incidents. As a part of this review, parents/guardians, students and community members are invited to participate in a Community Forum to discuss how to improve school and community safety. Your feedback is very important and will inform the team as they prepare a report and provide recommendations on how the Toronto District School Board can continue moving the gains made in creating safe and caring school environments out to our school communities. 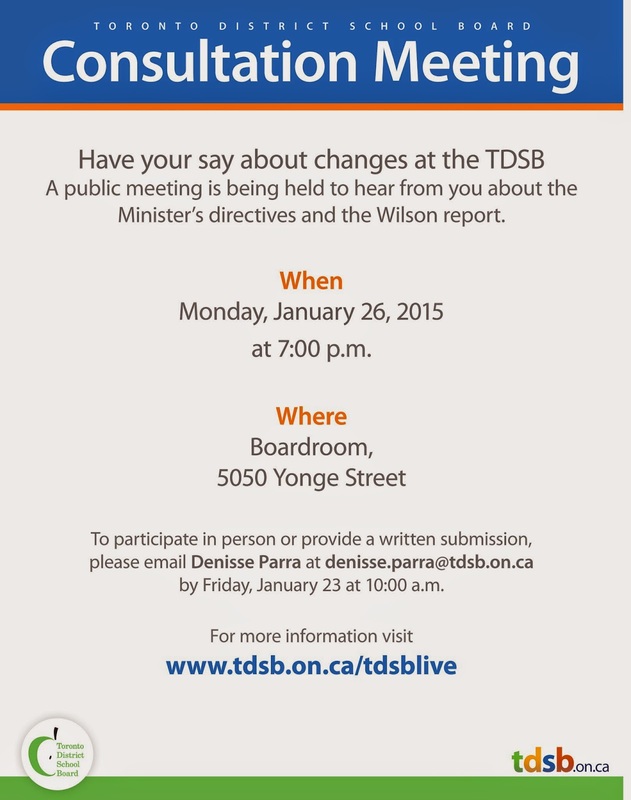 If you are unable to attend one of the above meetings, you can email your feedback totdsb@executekinternational.com. 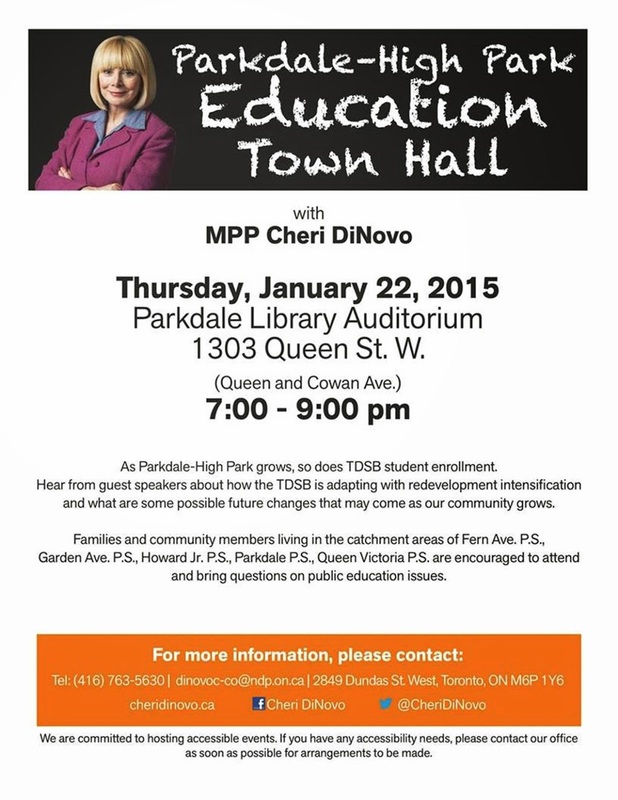 In response to constituent feedback she has received concerning the numerous changes occurring in our schools, our MPP Cheri Dinovo is hosting an Education Town Hall hosted by on January 22nd 2015, (7-9PM) at the Parkdale Library Auditorium. You are invited to attend. With a focus on Ward 14 issues, the agenda will involve a panel discussion and an opportunity to ask questions. Cheri has pulled together a panel that will include myself, a representative from the Ministry of Education, MPP Peter Tabuns (Education Critic) & Krista Wylie of the grass roots organization, Fix Our Schools (www.fixourschools.ca). As well, local community organizations have been invited to set up information tables. If you have any questions, please don't hesitate to contact Cheri's office. Just a reminder that the IRC Bottle Drive is this Saturday from 1 - 4pm, with all proceeds going back to IRC! Please bring your empty bottles to the Beer Store Location at Dundas and Jane St. If you are unable to get the bottles there please let us know by email or call 416 854 5136 and we will either pick them up or store them at people's houses who are local. We are also looking for Volunteers so please let us know if you can help in any way! Add just a friendly reminder that children are not permitted at this event.